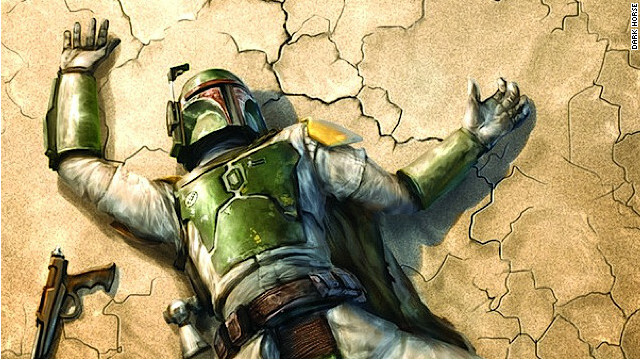 Bounty hunter Boba Fett is killed in the new Dark Horse comic “Star Wars Blood Ties: Boba Fett is Dead" #1. Beloved bounty hunter Boba Fett is dead - but who killed him? The pick this week sees a Star Wars fan-favorite killed on the first page - Dark Horse Comics’ “Star Wars Blood Ties: Boba Fett is Dead #1". The rest of the book answers the question “Who would want to kill Boba Fett?” Pretty much everyone, it turns out. As the preeminent bounty hunter of the Star Wars universe, Fett's list of enemies is about as long as a Hoth winter. But there’s another mystery at the core of the book: Who would want to kill the men who killed Boba Fett? Boba Fett first showed up as an animated short in the notorious “Star Wars Holiday Special” and quickly became a beloved character. He’s the enigmatic bounty hunter shrewd enough to outfox Han Solo in “The Empire Strikes Back,” then responsible for transporting Solo after he was frozen in carbonite. Friend of Geek Out and all-around comic guy Daniel Dean from Titan Games and Comics in Smyrna, Georgia, put it best when he said his favorite comics are the ones where a character who isn’t the focus of the story still drives the story. We got a chance to talk to Tom Taylor, who wrote the script for “Boba Fett is Dead” #1. Stefan Dezil stars as Static in his short film, "Static Shock Blackout." 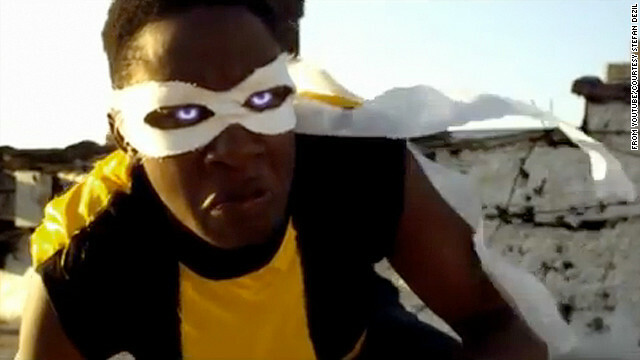 Static has enjoyed a good amount of success for a superhero since the DC Comics character was introduced in 1993. One medium the character has yet to crack, however, is the big screen, and Stefan Dezil hopes to change all that. Dezil raised the money to shoot a 13-minute short film about the character, and - like "Archetype," a science fiction success story - he hopes the film will show a feature-length film could work. The result is "Static Shock Blackout." Dezil spoke to CNN Geek Out about the project. Filed under: Comic Longbox • DC Comics • Squee!